Why I Cycle: Describe your typical biking experience? In celebration of National Bike Month and in anticipation of Bike Week L.A. (May 16-20) we’ve launched a new survey series entitled ‘Why I Cycle’. This series spotlights local bicyclists who have made the daring leap from car-dependent to car-free or at least car-light in Los Angeles. 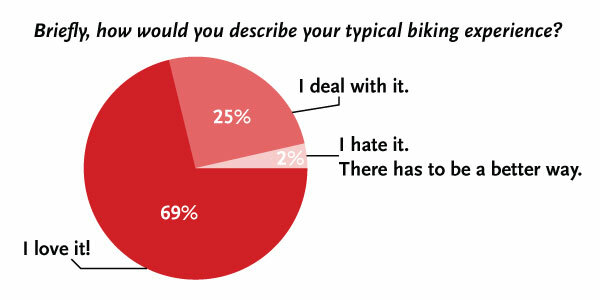 The people have spoken and they love biking. Seventy eight percent of respondents say they spend less than $25. 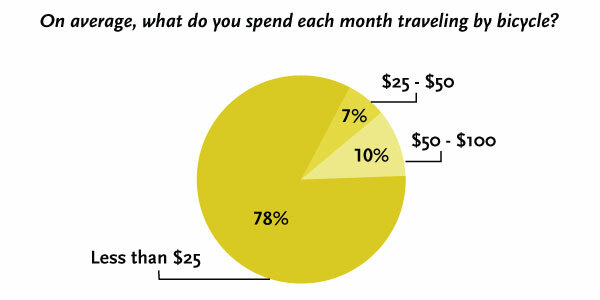 Meanwhile, 7% say they spend $25-$50, 10% spend $50-$100 and 0% report spending more than $100 per month on bike travel. Compare that to our Why You Ride (or Don’t) results in which most transit users said they spend $50 to $100 each month and most drivers report spending between $100 and $300 on monthly transportation costs.